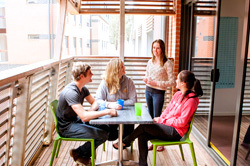 At Bendigo campus, you'll have access to plenty of support to help you get the most out of your time at university. If you have any questions about how we can help, get in touch with the Student Services Office at studentservicesbendigo@latrobe.edu.au. Useful university links with further safety information.